Um, inform yourself before accusing us of something we did not do! A new GERMAN server will be launched on Friday. Unge is a popular Youtuber and S&F player and the server will be named after him for marketing reasons and popularity. This server is NOT secret! I didn't announce it here as this is the international forum that only covers international W servers and countries such as the US, UK, Netherlands, Russia and others. A new Spanish server isn't announced in the French forum either. 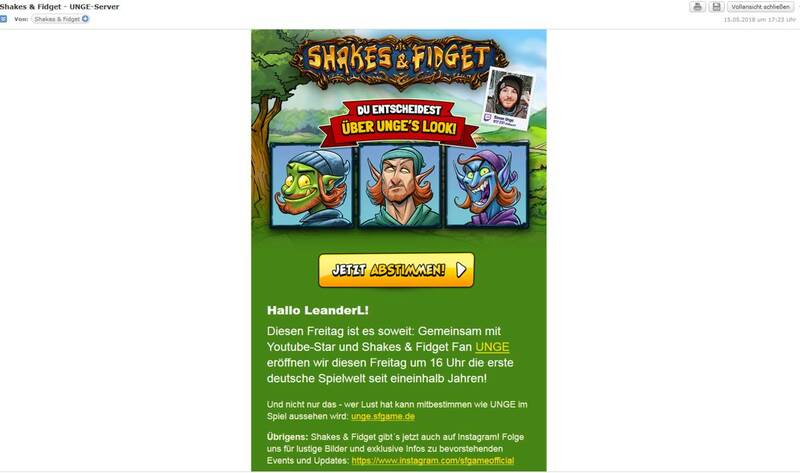 It was announced in the German forum though AND all players on German servers received an email with details on the new German server and S&F@Instagram yesterday! Last edited by Leander; 24th May 2018 at 05:28 PM.